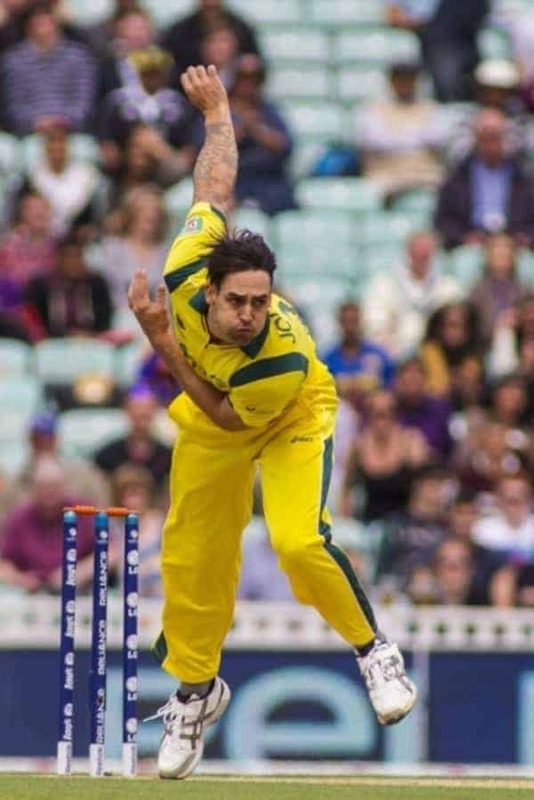 Aussie thunderbolt paceman Mitchell Johnson calls it over. Thanks for everything, Mitch. Mitchell Johnson confirmed on Tuesday that it was to be his last day of international cricket. The close of play at the WACA Test would also be stumps on the sensational career of Australia’s talismanic speedster. Johnson retires while still on top, roughing up a few kiwi batsman in classic fashion on his way out. He has been the linchpin of the Australian attack through a difficult time for the Baggy Green, following the departure of the Warne-McGrath dream team. He made his Test debut in late 2007, but he really burst onto the scene when he destroyed the South Africans a year later, taking seven wickets for 12 runs and finishing on 8/61 for the innings in what was the first of his trademark routing of batting line-ups with his left arm slinging thunderbolts. More remarkable, though, was his 2013/14 comeback after a dip in confidence and fortunes. Was it hard work, an adjustment to the delivery arm height or the addition of the fearsome facial hair? All of the above, probably… and all of them nurtured and encouraged by his mentor, Dennis Lillee, who first spotted the young Johnson in Queensland and guided him to the highest level, twice. Mitch’s achievements since the comeback have been as thrilling for cricket fans as they have been frightening for the men facing him at the crease; especially the single handed demolition and dismantling of the England team, from players to coaching staff and management, in the 2013/14 Ashes series. It was that summer of glory that would be the career highlight for many Mitch fans, and certainly what has raised him to true legend status for cricket fans the world over. Johnson finishes as Australia’s fourth highest Test wicket taker, surpassed only by Shane Warne, Glenn McGrath and Lillee himself. An he wasn’t too shabby with the bat, either. Thanks for all the bouncers, Mitch. It’s been a wild ride. As interviewer Michael Slater said to Johnson at the close of play at the WACA, “You’ve been a helluva player, mate”.